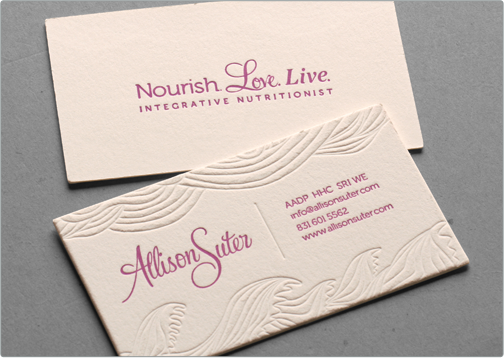 This Cotton Card was designed for a holistic health advisor and wellness educator. 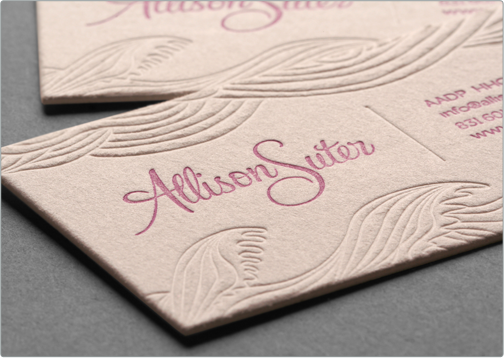 A blind debossed illustration ornaments the top and bottom of this one sided letterpress card, exuding a fun, free-spirited aesthetic. 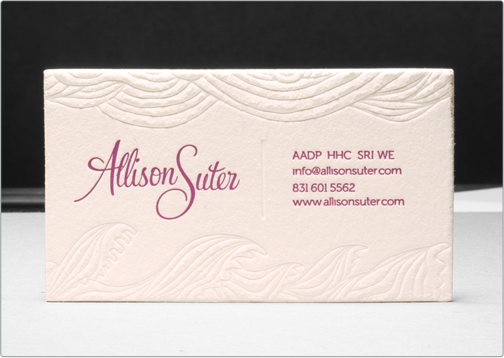 A custom word mark and the contact image are set in a dark magenta ink, separated by a blind debossed vertical dividing line.